Four missing girls kidnapped by members of a cult were found safe Sunday hidden in bizarre locations near a Utah ghost town. Lily Shaffer, 7, and Hattie Coltharp, 4, were found hiding in 50-gallon plastic water barrels in the middle of a tumbleweed Utah desert one mile west of Lund, an unincorporated ghost town with an official population of one. Hours later, a law enforcement search party followed a tip to find Dinah Coltharp, 8, and Samantha Shaffer, 5, hidden in an abandoned trailer. All four of the girls spent 24 hours in freezing temperatures by the time they were discovered. “Had we not received that tip today, these girls probably would not have been alive in the morning,” Lt. Del Schlosser from the Iron County Sheriff’s office told CBS Denver. The two Coltharp girls and their two brothers vanished from Highlands Ranch, Colorado, three months ago. Their mother believed that they were kidnapped by their estranged father, John Coltharp, after he lost custody of the children. The children’s mother, Micha Soble, told police that John Coltharp was a member of the Knights of the Crystal Blade cult, according to an Iron County Sheriff press release. Coltharp traveled to Utah to live with Samuel Shaffer, the cult’s “prophet” and father of Samantha and Lily. 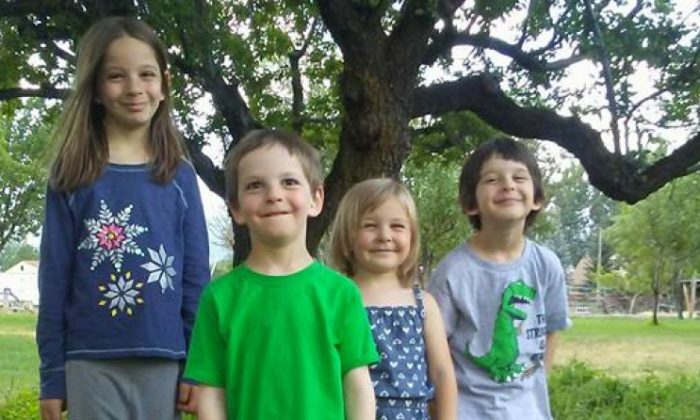 Utah law enforcement followed a tip from Soble’s court documents that stated that her four biological children may be located near Beryl junction about 30 miles west of Cedar City. Police did not find the children there, but received a tip two days later on Dec. 3 that led them to a compound made up of shipping containers 1 mile west of Lund where Shaffer and Coltharp are believed to have lived. Deputies pulled over a car near the compound and spoke to Keith Colthart, John Colthart’s father. The interview led them to the compound where the found the missing Colthart boys, Seth and William. But the Coltharp girls were missing and so was Shaffer. Investigators learned that Shaffer walked out into the desert with Dinah, Haddie and his own two daughters on Sunday night. A search commenced with more than 20 law enforcement personnel, a helicopter and an ambulance. Two hours later, police received a tip about a man walking alone matching Shaffer’s description. Shaffer was arrested, questioned and eventually revealed the locations of the four girls in the barrels and the trailer. The four Coltharp children were reunited with their mother. She started a GoFundMe campaign to raise money to help the children cope with the trauma they suffered.